Contract Assembly – Ric Taylor Sales Inc.
We are experts in quick prototype and high mix/low and medium volume assemblies. 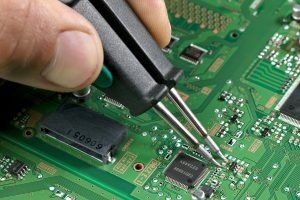 Our test capabilities include in-circuit or fully functional testing. Our flexibility allows our customers to choose the level of service that best fits their needs: turnkey, consignment, combination turnkey/consignment, or total product build. Providing customized solutions that fit our customer’s needs is the basis for our success in the electronics contract manufacturing industry.